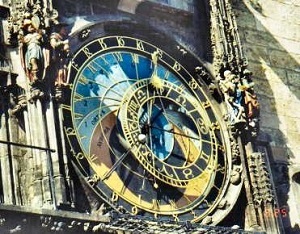 For over a thousand years Prague has been a major crossroads of civilization. It has served variously as the capital of the Holy Roman Empire, birthplace of the Reformation, incubator of Renaissance science, home for Mozart and other celebrated composers, and a haven for artists and intellectuals. In the aftermath of Czechoslovakia's peaceful Velvet Revolution in 1989, Prague – quickly dubbed "The Paris of the '90s" – dusted off 41 years of Iron Curtain obscurity and reclaimed its venerable reputation as a cosmopolitan hub, rich in artistic achievement and intellectual originality. The city immediately became a magnet for thousands of artists, writers and entrepreneurs who flocked to the city from all corners of the earth, to be nourished by some of the world's most inspiring architecture, and the richness of a great central European culture. 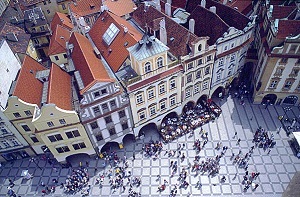 The arts – both classical and avante garde – are flourishing in the today's Prague, which boasts a year-round schedule of world-renowned festivals and exhibitions, plus a virtually endless selection of affordable theatrical events, museums, concerts, dance performances, poetry readings, and gallery openings. Prague boasts three famous opera houses, the acclaimed Czech Philharmonic Orchestra, numerous ballet and modern dance companies, and scores of rock, jazz, and dance clubs. 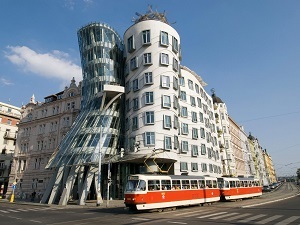 Like Edinburgh, Prague also hosts an annual Fringe Festival which attracts an international theater audience. 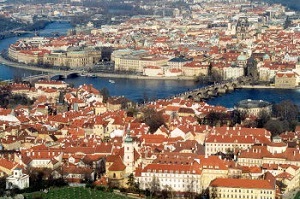 Prague today is one of Europe's top tourist destinations, and – a far cry from the pre-Velvet Revolution days – boasts a highly developed infrastructure of hotels and restaurants, plus one of the best urban transport systems to be found anywhere, including a world-class international airport. It is also the temporary home to tens of thousands of university students from all corners of the world, attracted by its unique architectural heritage, intellectual and historical heritage, and central location within Europe. Would you like to know what´s up in Prague right now? The perfect balance of the travelers’ opposites – discovery on your own and a peek into the insiders’ world. I would NEVER have found this on my own. Here is what stands out for me: overcoming insecurity about making art in front of strangers; making art in companionship with people who are now on the same adventure. In retrospect, I am glad that we had a day before and after the scheduled events, to acclimate to the city before, and after, to pursue things we hadn't had an opportunity to get to. The trip was wonderful and I have so many wonderful memories and I appreciate all that you did for Judy and I. I have traveled a lot and this trip ranks high on my enjoyment scale. Memories of Artbreak are still very much with me. Thank you both for a lifetime experience. You were gracious hosts and your care and planning were much appreciated. Of course I will sing your praises!! How could I not?? It was an absolutely wonderful week! Of course the city itself is a wonder; but I doubt if I would have come to love it so if not for the experience you and Doug have so carefully, thoroughly and lovingly crafted. Thank you one and all for a GREAT week in Prague. I’ve had my ceramics glazed and fired and they look great. My children really loved the clay animation. I'm thrilled I went – Artbreak expanded my horizons and re-energized me creatively by providing a totally unique, personalized, deeply engaging experience that I'll never forget. My wife and I haven’t had such a fun adventure in years. We never could have experienced Prague culture like this on our own. It was an unforgettably stimulating and at the same time relaxing trip for us. Bravo! Of all the vacations I have taken that included art this was by far the best! Anytime you want to use me as a reference, feel free. What kind of person comes to artbreak™? What makes artbreak™ distinctive from other vacations? In what language are the morning arts classes taught? Copyright © Arete Institute. All rights reserved.